Russia! Russia! I see you now, from my wondrous, beautiful past I behold you! How wretched, dispersed and uncomfortable everything is about you; the brave wonders of nature, crowned with the daring wonders of art … you have none of these to bring you joy or to startle your eyes … Everything about you is open, level and desert-like; your lowly towns are like dots, marks imperceptibly struck upon your plains; there is nothing to captivate or charm the eye. This passage came to my mind following the opening ceremonies for the Winter Olympics in Sochi, as the Russia I saw on the TV screen lacked the kind of realism (the War and Peace ballroom scene aside) that Gogol exemplifies and is at the heart of Russian literature and art. I don’t want to deny Russia the right to give the world a grandiose and over-the-top display of its own greatness. 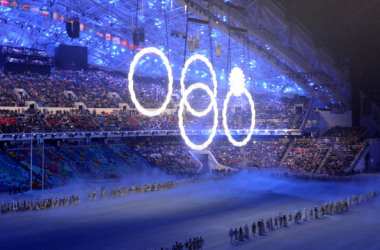 After all, that has become the order of the day for Olympic ceremonies. However, the ceremony lacked much of any reference to one of Russia’s most defining cultural expressions: its realism, its ability to express the essential dilemmas and conflicts in human nature, the suffering that is found in the world, and the acts of virtue and creation that are unique to humanity. Certainly, it is hard to recognize, let alone artistically memorialize, the more difficult parts of human history. Peter the Great’s reforms are easier to show than his brutality. Nineteenth century industrialism is easier than serfdom and pogroms. Pop culture is easier than Stalinism. However, the greatest expressions of Russian culture have sprung from the suffering and harshness of the world. Real Russians suffered under Peter the Great and died in the pogroms and endured the oppression of the Soviet regime. We should not retreat from or ignore them. what then is that unattainable and mysterious force which draws us to you? Why does your mournful song, which is wafted over your whole plain and expanse, from sea to sea, echo and re-echo without cease in our ears? … What is it that calls and weeps, and grips our heart? … Threateningly that mighty expanse enfolds me, reflecting itself with terrifying force in the depths of my soul; my eyes become illumined with unnatural power. O what a glittering, wonderful and strange expanse! Russia! A beautiful essay! I made a similar case in my Old South class today, that the South is compelling precisely because beauty and tragedy are inseparably bound up with each other.